Pièce 026 - Cottages at Samoset Lodge, West Arm of Lake Nipissing, Monetville, Ont. 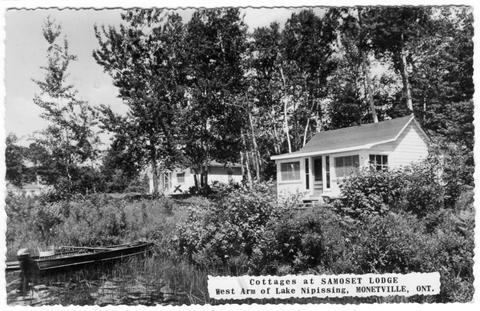 Cottages at Samoset Lodge, West Arm of Lake Nipissing, Monetville, Ont. Anglais » Cottages at Samoset Lodge, West Arm of Lake Nipissing, Monetville, Ont. Item is a postally used postcard. Card was cancelled at Sturgeon Falls, Ontario, 1959.